A healthy lawn during the summer is possible if you’re willing to put in a bit of hard work and effort. Although the heat, humidity, and other elements threaten the health and beauty of the lawn during the summer, you can still maintain an attractive lawn. 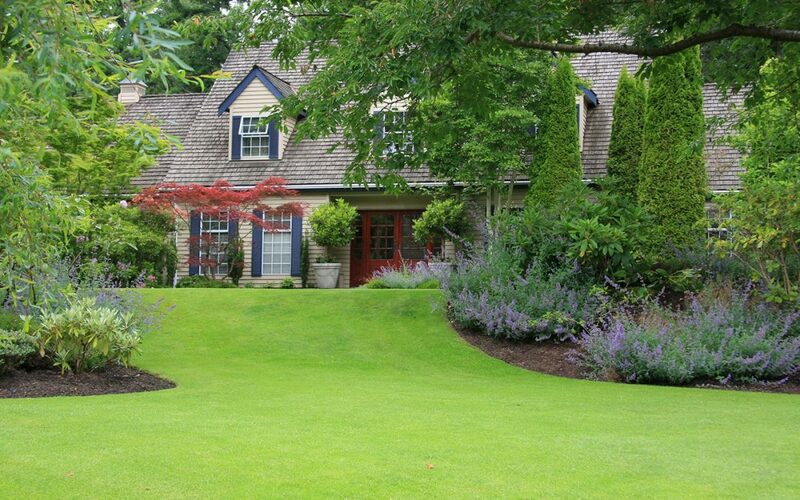 Use the five tips below to help your lawn look amazing all summer long. It takes just 6-8 short weeks for microbes in the soil to absorb and process most of the nutrients that it enjoyed after a feeding. It is essential to replenish the nutrients by fertilizing the lawn once in the spring and once later in the summer. When the lawn is well-fed, it will remain thick and capable of withstanding the hotter months. Cutting your grass short may seem ideal, but when you do this, it inhibits the growth of the grass and the root depth which is important for absorbing water and nutrients. Your grass depends on the moisture content from the soil on days when it is very hot and dry. Before you cut the grass, set the mower blade to a higher setting. If you pay someone to cut the grass, let them know your wishes for grass length before they begin. Shorter grass requires more frequent watering, but do not neglect longer strands of grass. Long grass also depends on waterings to keep it moisturized. Deep, infrequent watering during dry spells protects the health of the grass best. If you frequently water short grass it encourages the grass to produce shorter roots. This causes the grass stress during periods of drought. As a general rule, provide the grass with approximately one-inch of water each week, and avoid watering altogether if you have significant rainfall. June bugs, Japanese beetles, and an assortment of additional pests pose a threat to your grass, its appeal, and its health. Treating your lawns for grubs and pests can save unnecessary stress on your grass and its roots. The proper time to treat for grubs varies by region. Check with your local agriculture extension to determine the best time to treat in your area. Keep paper, plastic, cups, and other trash off the lawn to keep it looking great. Additionally, pick up after your pooch! Urine can saturate into the soil and cause the grass to dry out, leaving behind brown spots, so encourage your dog to relieve himself in a spot where grass doesn’t grow. A little effort goes a long way when it is time to keep your lawn looking its best throughout the summer. Use these five tips for a healthy lawn during the summer and achieve the great-looking lawn that will make your whole home look better. Pacific Home Inspections provides home inspection services for homes and condos in the Greater Vancouver area. Contact us to schedule your home inspection today.